Kobe is one of the cities in Japan that I might never get bored with. Kobe’s touristy spots might not be as popular as its Kansai neighbors Osaka and Kyoto, but it does not mean that they are less attractive. In fact, if you are looking for a city with a pleasant ambiance, delicious food, completed by a combination of mountain and sea experiences, then Kobe is the city you have to visit. Let’s explore what’s in the city! On January 17, 1995, an earthquake with a magnitude of 7 occurred in the southern part of Hyogo prefecture — which includes Kobe. This museum was built to tell stories about the earthquake experience — how did it happen and how did it affect the people here. There are lots of displays of photos, documents, and other memorable things from the time of the incident. Other than the displays, this museum also offers a simulation room with a documentary movie and a learning corner with a database of natural disasters all over the world. A modern museum in the HAT area of Kobe, Hyogo Prefectural Museum of Arts exhibits sculptures, prints, paintings, and other kinds of art inside its three-story building. The minimalist and contemporary style of the museum was designed by Tadao Ando, a famous Japanese architect. Nada District is Japan’s best sake producing region. There are a lot of sake producers who open their doors for tourists to see the sake brewing process. Some of them also have a museum with free admission. 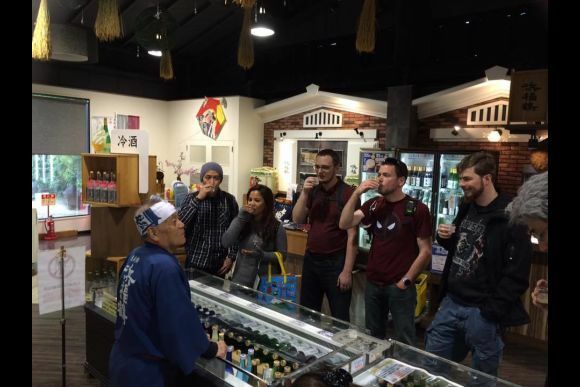 In addition, you may also try the sake samples offered by some shops along the district. Kitano-cho is an area with a lot of European merchant houses. The area itself feels like the “European side of Japan”, with western style old houses, classic street lamps, and flowers everywhere. Other than various merchant houses that a visitor can enter, this area also offers a TrickArt Museum, where you can strike a pose in front of a 3D drawing. For a Muslim tourist, this mosque is a must-visit while you are in Kobe. As the first mosque in Japan, it survived World War II as well as the Great Hanshin Earthquake. For those eager to find halal ingredients, in front of the mosque there is a halal shop where you can do grocery shopping. In addition, if you are here during lunchtime, try the delicious Mediterranean food at Naan Inn, a restaurant across from the mosque. Talking about shopping, in the center of the city, there is a shopping street with a wide variety of shops — souvenirs, clothes, books, restaurants, cafes — pretty much everything you need. The street is said to be similar to Shinsaibashi in Osaka or Ginza in Tokyo. In the middle of Kobe’s Motomachi, there is a compact space called ‘Nankinmachi’, better known as Kobe’s Chinatown. Originally formed by Chinese merchants after foreign trade started in 1868, this area is packed with restaurants and food stalls selling Chinese food — from Szechuan cuisine to dim sum, from Chinese ramen to steamed buns. Do visit this place on weekdays, as the weekend is usually crowded with people! If you are looking for a view of Kobe from above, give Shin-Kobe Ropeway a try. The ropeway is located next to Shin-Kobe Station. It lifts tourists up to the southern part of the Rokko mountain chain. For those who are willing to walk, there is also a hiking trail to climb. Along the way uphill, visitors can find Nunobiki Waterfall — one of Japan’s three most holy waterfalls. You will also find the first concrete dam to be built in Japan, Nunobiki Dam. Just before the top station, do stop by at Nunobiki Herb Garden. Finally, the last part of the trail will be the observation deck and a rest house. You might want to try to hike uphill and go down by the ropeway when it gets dark. As you go down the hill, you can enjoy a beautiful night view of Kobe from inside the ropeway car. On the opposite side of Rokko Mountain, there is a famous hot spring named Arima Onsen. In this historical hot spring, there are two types of hot spring waters: the Kinsen (gold water) that is said to be good for skin and muscle problems, and the Ginsen (silver water) that is said to be a cure for muscle and joint problems. Kobe Harborland is a shopping and entertainment district near to Kobe Port. The shopping district includes a Ferris wheel, Anpanman Museum, Gaslight Street (lit up in the evenings), and Renga Soko — a collection of 19th-century brick warehouses. Located in a reclamation area, inside Meriken Park there is a spacious area where you can enjoy the breeze from the sea, a memorial statue for the Great Hanshin Earthquake, and a preserved area from the earthquake incident that has not changed since the incident day. It is also the home of Kobe Port Tower and Kobe Maritime Museum, both of which have iconic architecture that is lit up at night time. Freundlieb is a long-established bakery in Kobe. Located inside an old church that was renovated into a café, Freundlieb has such classic western ambiance. The menu includes coffee, sandwiches, cakes, and lots of choices of bread. The bread is freshly baked in the factory next to the café. 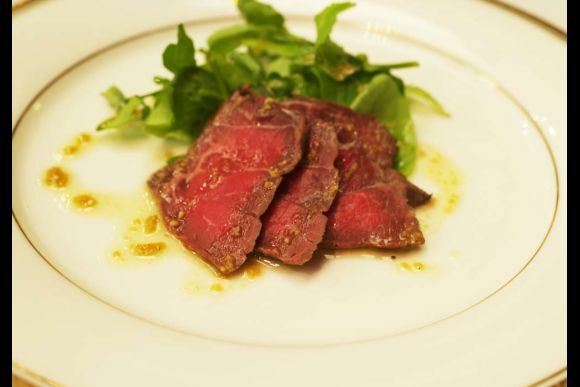 If you ever heard about the special beef from Japan named Kobe Beef, now you are in the origin city of that famous beef! Kobe beef is one of the breeds of Japanese cattle that is said to be best served as teppanyaki. There are lots of restaurants in Kobe serving Kobe beef; one of them is Steak Land. Here, the set of Kobe Beef is worth around 6,000 yen. If you like juicy meat, do order a medium-rare for an enhanced taste. A bridge with a length of almost four kilometers, the Akashi Kaikyo Bridge is the longest suspension bridge in the world. It connects Kobe City and Awaji Island. Those who have an interest in bridges and construction should visit the Bridge Exhibition Center at the bridge’s foot on the Kobe side. A guided tour named “Bridge World” is also available for a cost of 3000 yen per person. However, the exhibition center and the tour are in Japanese only. 15. Hunt for Lots of Delicious Desserts! Other than Hokkaido, Kobe is probably one of Japan’s best places for desserts. If you are in the Kitano-cho area, go to Rokko Farm Café and try their delicious milk flavoured ice cream. Also, try fluffy cheesecake ice cream from Yamagen Kazamidori, near Weathercock in Kitano-cho. For another cheesecake, try Konditorei Kobe, which is said to be the most delicious cheesecake in town.